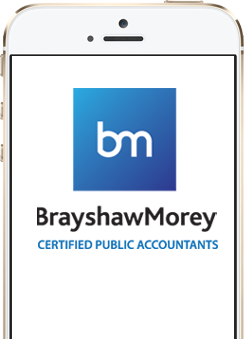 Established in 1987 and based in the elegant town of Stamford in Lincolnshire, Brayshaw Morey is a forward thinking firm of Certified Public Accountants. Ross Clephane is one of the founding members of the firm and has continued to build on the original values on which the company was created. We have a wealth of experience and blend traditional service principles with a modern approach to ensure that the needs and requests of our clients are not only met but exceeded. 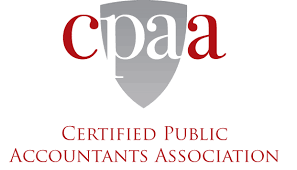 We cover every aspect of accountancy, tailoring services to meet our Clients’ needs. We use modern technology and cloud based software such as Xero and FreeAgent to enable us to work in partnership with our Clients. I am just writing to say thank you to you and Lisa for coming to see us in our offices to present our draft Financial Year End Accounts to us. It is refreshing to find an accountancy firm who endeavor to take the time to express such a personal interest in the way we work and who don’t charge the earth for their services! Nimble was launched in October 2013 and has used Brayshaw Morey as our accountants from our inception. I would highly recommend Ross and his team to any company - both new or existing business. Nothing is ever too much trouble and I am always made to feel as though I am the only client they are working with. Brayshaw Morey offer value for money and the width of knowledge and advice received from all staff is exceptional. Brayshaw Morey has been instrumental in our growth as a company to where we are today. This last year has been a real learning experience for us business-wise and Brayshaw Morey have helped us to understand the financial picture and given us the confidence to build our business. The bookkeeping is super-efficient and they answer our questions thoughtfully and in detail, without confusing us with accounting jargon. Each member of the team is confident with new technology and they are all happy to look into creative new solutions to help us manage our business more effectively. Overall, I would heartily recommend Brayshaw Morey to anyone – and on top of their great service, they’re easy to get along with – we actually enjoy our meetings with them and we are absolutely not numbers people! about costs and forthcoming with help and advice. I use their online accounts software (FreeAgent) which makes running my books a breeze - happy to recommend them”. "We're delighted at the attention and level of service we've had from Brayshaw Morey. The FreeAgent accounting package that they recommend has saved us enormous amounts of time and effort in financial management and planning for the company, leaving us free to get on with what we do best. I have no hesitation in recommending both". "I have been a client of Brayshaw Morey for just under a year now and have been delighted and impressed with the service I have received. I have been a very keen user of FreeAgent which I access via the cloud/internet. This has been an absolute godsend in terms of ease of use, functionality, ability to invoice, tracking debtors, and watching my account grow! I would thoroughly recommend the use of this software"
"I have been a client of Brayshaw Morey for 10 years with Ross Clephane. The service I have received over the years has always exceeded my expectations. Ross is professional, supportive and courteous on every occasion. Needless to say I am very happy with the service I have received and will remain a customer for many years to come." Enjoy the Brayshaw Morey App with our compliments by downloading it for free via our QR code.